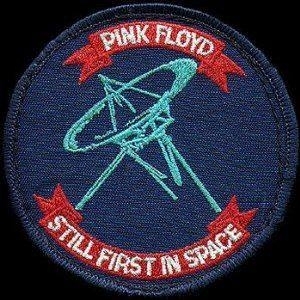 "Pink Floyd's Delicate Sound of Thunder became the first rock album to be played in space, when Soviet cosmonauts took the cassette of the album with them on the Soyuz TM-7 which was launched on this day in 1988. David and Nick were both in attendance at the launch, audio of which was recorded for potential future use on a Floyd project. Around this time, this apt image was seen in various places including tour t-shirts."